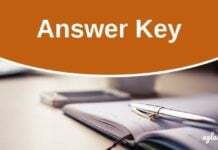 NATA 2019 Answer Key – CoA has released NATA Answer Key 2019. It has been released online, on nata.in. You can check and download it from the link below. The answer for all the 62 MCQs asked in the exam are given in it. If candidates find any error in the answer key of NATA 2019, then they can challenge it. To submit objections, use the link below and enter access the login by entering roll number, question number, grievance/remarks, and reference for justifying grievance. Check more details about NATA 2019 Answer Key from the below. The answer key of NATA 2019 has only been released for Part A of examination. Part B is subjective, hence, there not be one particular correct answer for it. Before moving forward, check dates for NATA 2019 answer key and NATA result from below. Click Here to download NATA 2019 Answer Key. Click Here to Challange NATA 2019 Answer Key. 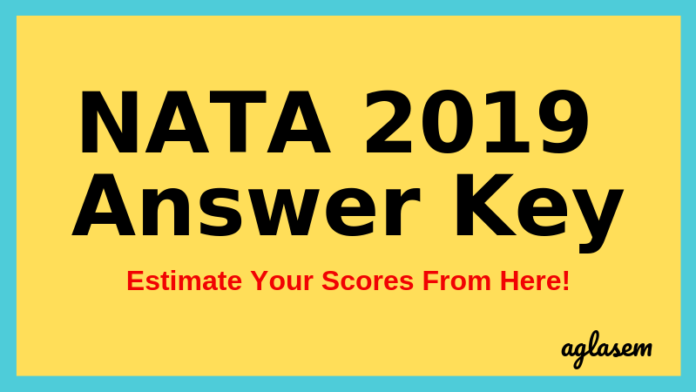 How To Use NATA 2019 Answer Key to Predict Score? Step 1 – One by one, cross check the answers in the key with that marked in the exam. Step 2 – Add 2 marks for all the correct answers. Since there is no negative marking, do not deduct marks for incorrect answers. Step 3 – Once, the answer for all the questions have been checked and the marks have been allocated, you will know your estimated score. 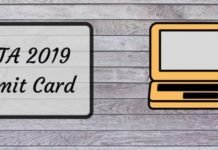 How To Download NATA 2019 Answer key? It will lead to a new window and answer key will directly open in it. There will be 62 questions and answers in the key. Check all, one by one. This year, CoA has provided the facility to challenge the answer key of NATA 2019. The candidates can do so from the login. To challanges it, the following details are to be entered. The result of NATA is announced on the basis of the answer key. The candidates get to know the score secured by them in Part A and B via the result. The result is also announced online and candidates can check it by entering appication number and password. 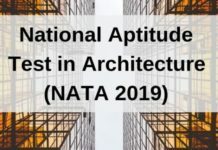 On the basis of NATA score, the candidates gets admission in B.Arch and B.Plan courses offered by some of the best institutes in India.